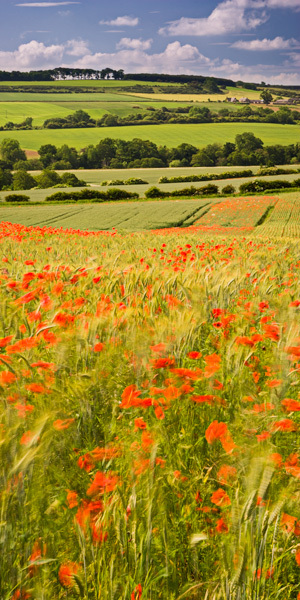 A spectacular show of red poppies dancing in the wind attracted me to this scene. The rolling farmland leading to the distant farmhouse on the hillside seemed to sum up a typical day in the English summer. Photo © copyright by Graham Chalmers.